Ideal Homes, our 2010 Builder of the Year, offers lessons in energy efficiency, finances and quality control. Talk with Gene McKown and your conversation will be spiked with terms such as leverage ratio and non-recourse financing. These are surprising terms for a self-described “poor country boy” who is a charity auctioneer, graduated with a degree in agriculture and was raised on a dairy farm in Oklahoma. But they’re also the language of one of the three owners of Ideal Homes, Professional Builder’s 2010 Builder of the Year. In partnership with his son Vernon McKown and Todd Booze — Vernon’s best friend from college — the three men have built a quiet dynamo in Norman, Okla., serving the entry-level market and first move-ups with a smart blend of quality assurance, customer satisfaction and energy efficient housing. An event like that will change a man. In this case, an event like that will be the reason Ideal Homes is surviving this recession and earning our top honors. Here’s how. As Gene emerged from bankruptcy (within 5 years, he had settled all his debts), he went into partnership with Vernon and Todd, who were just emerging from college. The two young men had built two houses in their senior year, Vernon held his Realtor license and the three of them became equal partners in Ideal Homes. At the outset, there were some unique elements to the company designed to prevent the kind of mishap that had befallen Gene previously. The partners agreed to a covenant that none of them could hold any personal debt. No credit card debt. No car loans. No mortgages. Among other constraints are keeping leverage ratios for the home building company at 2:1 and for the land company at 1:2. They have almost no debt on land and their goal is to have no debt on specs. In today’s market, part of the reason for those low ratios is the lack of capital. Banks just don’t want to lend — or can’t — and Ideal Homes has always grown from reinvestment of capital into the company. In its first year, 1991, Ideal Homes sold 27 houses. In its second year, they sold 97, and in the third 115. From the beginning, duties were divided among the three owners in the same way they are today. Gene McKown is president of development; Vernon McKown, president of sales; and Todd Booze, president of construction. Building a company on the rock-solid foundation of financial control while helping to stave of failure does not guarantee success. Any conversation with the owners and managers invariably leads to discussions of luck. “A rising tide raises all boats,” says Vernon. And the culture of the company fits that modesty, where employees are sought out and encouraged to just keep their heads down and do the work. A lot of people talk about how their most important asset is their people. The Ideal Homes owners and managers put the truth to that statement. To this day, Ideal Homes has the 32-point performance benchmarks Shinn laid out for them still posted on the board of their conference room — laminated. And they began working on improving their performance in each of those 32 areas. Turning to outside experts for help didn’t start with Shinn, and it certainly didn’t end there. (See sidebar, “The Outsiders.”) They have hired a Boy Scout troop’s worth of consultants to help them improve and refine every process, from building healthy houses to tightening sales procedures to establishing improved trade relations. The concept is simple. Why invent something that is already invented. Probably the best example of a discrete process within Ideal Homes that uses this idea is the hiring process. Vernon reports that turnover was higher than they wanted, and they recognized that they needed to address the hiring process. In 2000, the company began a new hiring process based on the book, “Topgrading: How Leading Companies Win by Hiring, Coaching and Keeping the Best People,” by Bradford D. Smart. Every hire is an 11-step process that begins with the hiring manager’s completing a requisition form and ends with the New Hire Orientation. Under each step are bullet points, describing who is responsible for which action. The result of this effort is not a Stepford-type team that marches in identical lock stop. A key component for Ideal Homes is to identify varied personalities and viewpoints to make a more complete team. Once on board, team members find considerable benefit through the company profit sharing plan. “We dole out a point and half to two points of our net profit out in the form of profit sharing,” says Vernon. That wherewithal comes from efficiencies gained from implementing systems and process that moved the bottom line a couple of points and the top gross margin several points as well. That lasted for most of the ’90s, until they learned about Energy Star in 1996, when they began adding other elements of energy efficiency such as tightening the envelope. From then on, every home they built met Energy Star standards. Further refinements followed, including building a Healthy House demonstration home, but the competition was following hard on Ideal Homes’ heels. In fact, today more than 60 percent of the permits in the Oklahoma City market are for Energy Star homes. “We have a huge penetration here,” says Vernon. “And I’d like to think that Ideal Homes has a lot to do with that, because we were the first adopters out there in Oklahoma and we pushed the message so hard that all the other builders had to introduce Energy Star in their products just to compete with us.” That is the effect of an industry leader. They create competition and help build new markets and new demands among consumers. Since then, Ideal Homes has taken on the Department of Energy Builders Challenge and constructed one of the first Zero Energy Homes by a production builder for the entry-level market. That house, featured in the May 2006 Professional Builder, sold for $195,000. In spite of all the great things Ideal Homes does, there is a final arbiter in their ability as a home building company. Do they sell homes? The answer is yes, but it is a muted response as is appropriate for the current market. At their peak, the company closed 525 homes in 2006. In 2009, they project to close 300 homes, which is about even with 2008 closings. Twenty-five percent of their sales are to buyers who qualify for the first-time home buyer tax credit. The company did have to do a reduction in force in the fourth quarter of 2008, the first ever in company history, and meager by current industry standards. But even that awkward moment is perhaps the most telling indication of the quality of the company. Every year, the owners and managers engage in a very detailed strategic planning process that includes identifying worst-cast scenarios. Last year, they benchmarked 60 home sales in a quarter as an acid test. In the fourth quarter, when Ideal Homes only closed 47 homes, the owners and managers recognized that to keep the company viable, they needed to cut costs. The hard decision? Reduce the work force by 20 percent. We recognize Ideal Homes for their ability to deal with the hard realities of a unique market; their ability to project, benchmark and execute the right decisions; their ability to create a business model that protects them from the worst the market has to offer; and their ability to lead the industry in an absolutely crucial area of energy efficiency. 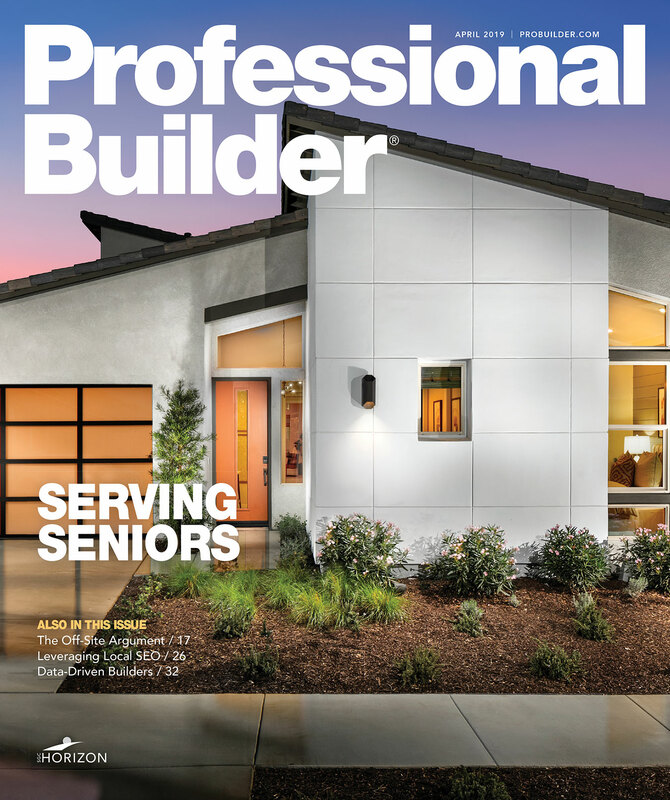 We’re proud to proclaim it the 2010 Professional Builder Builder of the Year. Head online to www.HousingZone.com/PB to listen to Gene McKown’s thoughts on the relationship between energy efficiency and customer satisfaction and Todd Booze discuss focusing on the fundamentals. One of the great things about quality organizations is that they don’t pretend to know everything. They also engage in active learning. Owners and managers of Ideal Homes read one management book every quarter, and the company has made a habit of turning to people who are experts in their areas. Any conversation with an owner, manager, or employee will scare up a reference to a book or an outside expert. These are just some of the books and names we heard during the course of our interviews.